Reassurance shield after the turnoff to downtown Mt. Hope. Just after that, 61 will split to head south to Prince. 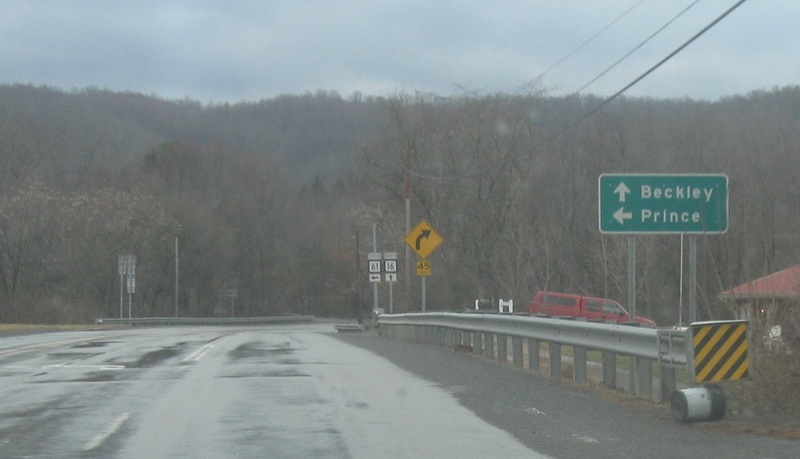 Stay on 16 for Beckley. 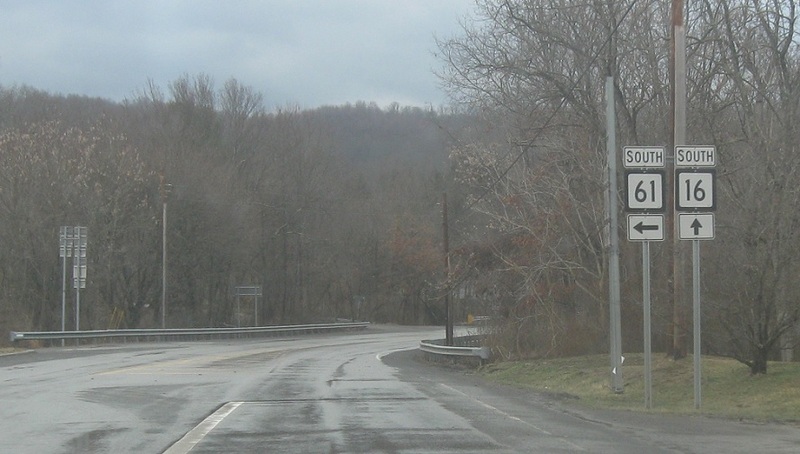 Turn left for 61 south. 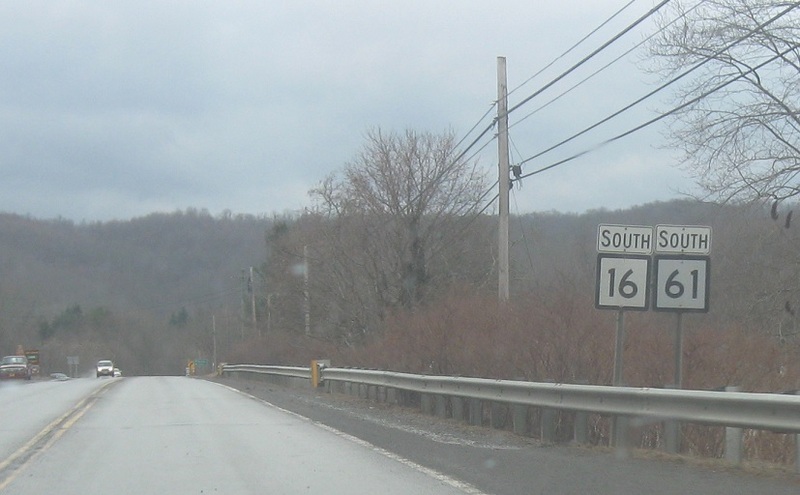 Stay straight for 16 south.